Enjoy 10 satisfying, full-bodied Dominican smokes from Quesada, Cubita, and Fonseca for one low price with our Full-Bodied Dominican Bundle Sampler. Not A bad pair in the bunch. Enjoyed these with my brother. All great even burns. Generally smooth. 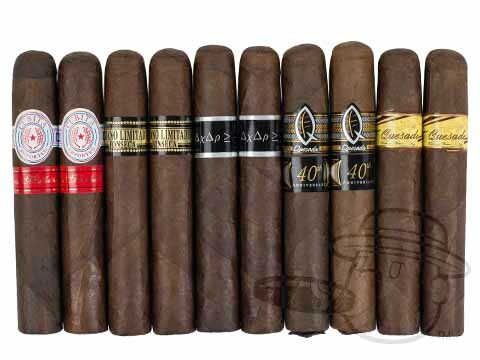 Aficionado Dominican Sampler is rated 3.9 out of 5 based on 2 customer ratings.